I often take a few photos with my iPhone to document my sketching. Above is this sketch before and after starting to add color. The picture below shows my sketchbook laying on the table inside a gondola that was still on the ground. 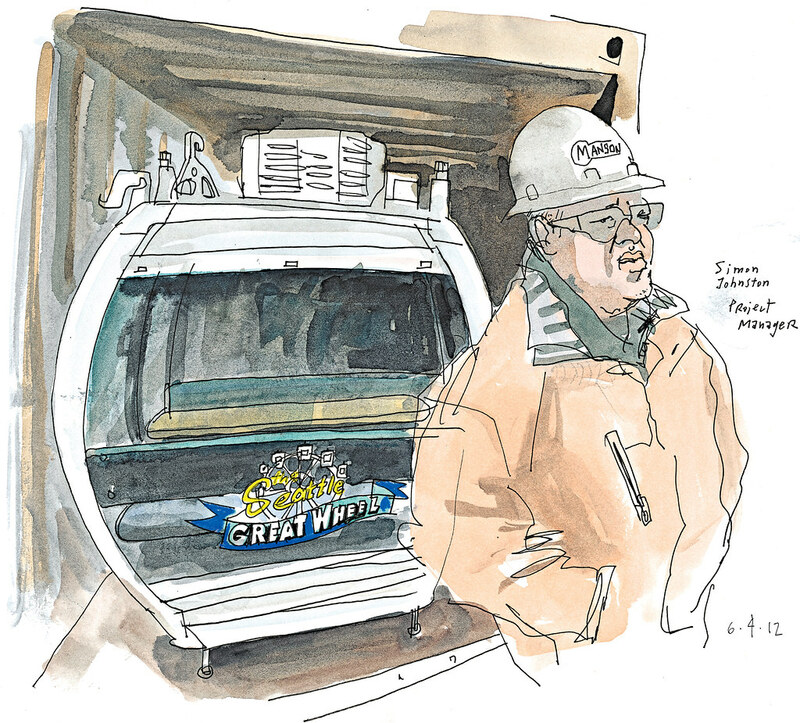 The page shows the line art of Great Wheel project manager Simon Johnston, which I colored later. Partial view of the Ferris Wheel from the dining tables at Fisherman’s Restaurant. Smith Cove Cruise terminal [related sketch] is in the distance. You’d think something as fun as a Ferris Wheel would get most people in Seattle excited, right? But others had really positive reactions. “I can’t wait to take the whole family on it. Cheers to the developer for thinking big,” wrote one person. “It adds a little bit of light-heartedness to the skyline,” added another commenter. I think the polarizing response underscores one thing: The city’s waterfront is a precious space. The stakes are high as the viaduct comes down and its real transformation, of which the Great Wheel is just the tip of the iceberg, begins. 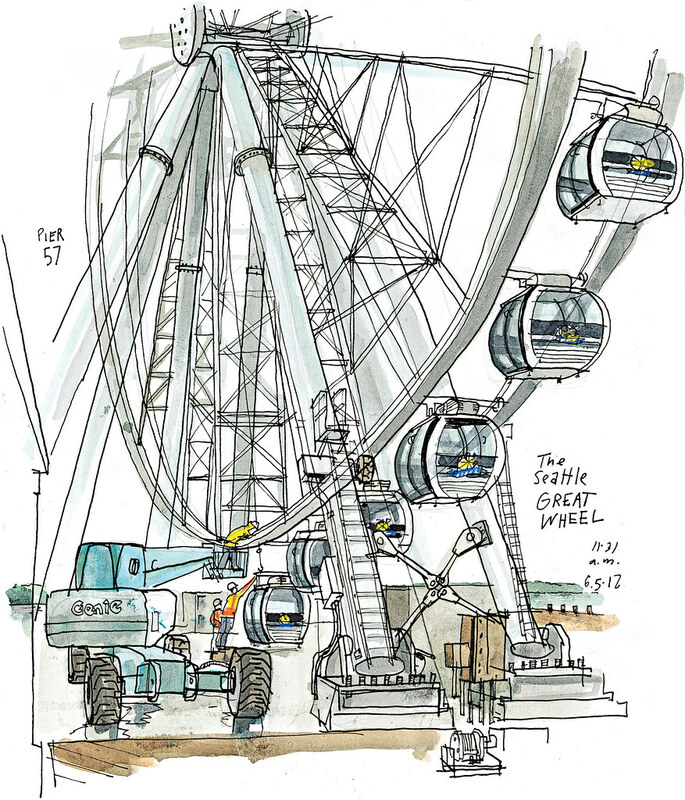 The debate, in my opinion, is not so much about the merits of the Great Wheel. It’s about the future of the waterfront.